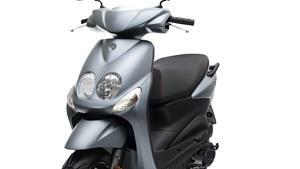 The Neo's 4 is driven by a 50cc 4-stroke liquid-cooled EU4-compliant engine that is clean, quiet and economical. This low emission fuel-injected engine gives you the right amount of power for efficient urban commuting - and with its automatic transmission, the Neo's 4 is the easiest and most enjoyable way to commute. The Neo's chassis gives you plenty of space for two - and yet it's compact enough to allow you to take on congested city streets. There's plenty of legroom for a relaxing ride - and the underseat storage accommodates a full-face helmet. Weighing just 95kg, this lightweight scooter is easy to manoeuvre, and parking has never been so easy! 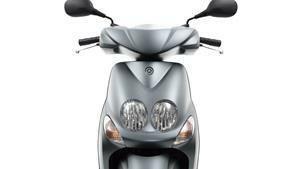 Featuring elegantly curved bodywork and a twin headlight face, the understated Neo's 4 looks good from any angle. Flush fitting flashers at the front and rear underline this scooter's timeless style, and it's clear that the Neo's 4 is the product of one of the world's leading scooter brands. So don't be tempted by cheap imitations. You'll be amazed at the high level of rider and passenger comfort! Because although this is 'just' a 50cc lightweight scooter, its ergonomic riding position and roomy interior make it feel like a larger model. But we haven't forgotten your passenger, because their comfort is assured with the foldout footrests, a stepped dual seat and handy grab bars. To give you full confidence when you’re out and about, you want to have easy access to all key riding information in a glance. Back lit in blue, the Neo’s 4’s digital instrument panel features a fuel gauge, a clock, a speedometer and warning lights. It’s stylish, functional and utterly reliable – a little like the Neo’s 4 itself. 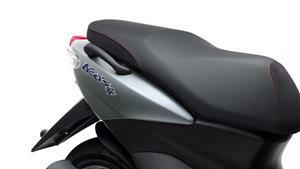 With its elegantly flowing lines, the Neo's 4 is a scooter that looks like no other. Its timeless, individualistic design draws admiring glances wherever it's ridden. So whether you're traveling alone or bringing someone along for the ride, the Neo's 4 is the smarter way to move around the city.